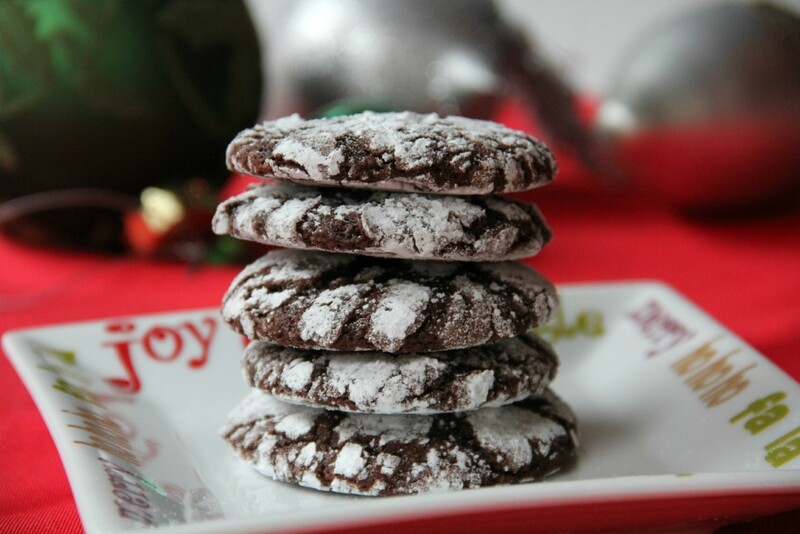 Chocolate crinkles, chocolate snowflakes…these cookies have multiple names. Whatever you call them, they are one of my favorite cookies. Of course, I say that about all the cookies, especially my Chocolate Chip Cookies, Mexican Wedding Cookies, and Ginger Cookies! But these little delights of chocolate…yum. 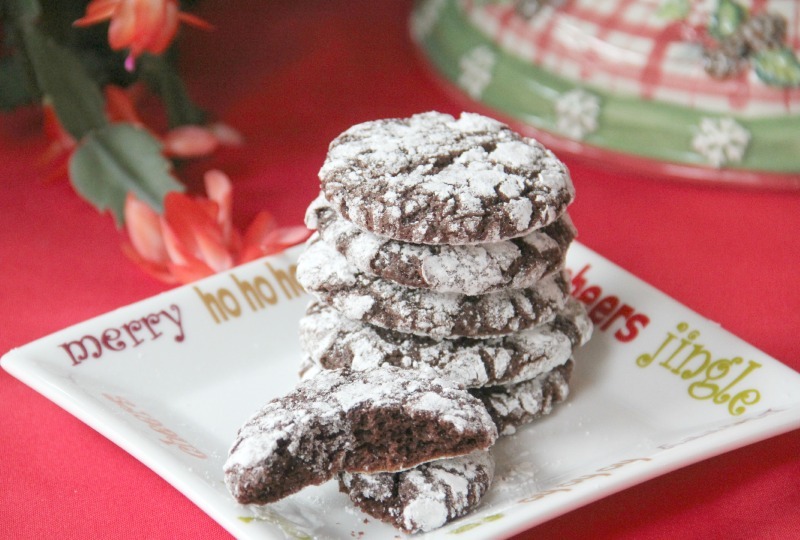 These chocolate crinkles are just the right blend of chocolate and sweetness. 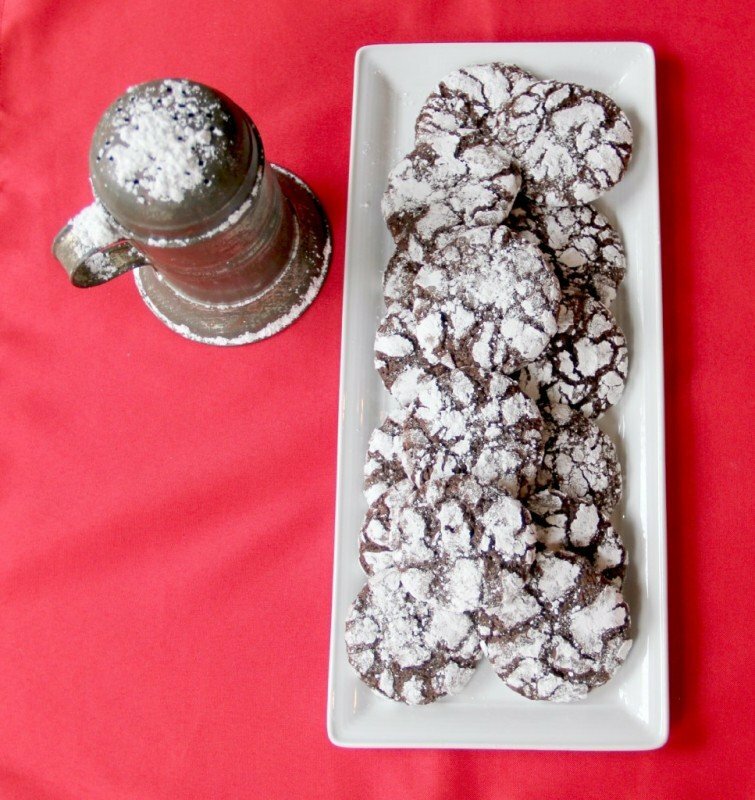 I use bittersweet chocolate and cocoa, along with dark brown sugar, which lends a depth of flavor that a lot of chocolate crinkles don’t have. Some just taste like sugar. 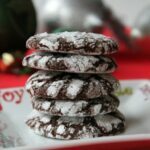 You can keep chocolate crinkles for a couple of days so they make great gifts. Wrap them in a cellophane bag or a pretty box and give them to someone special. Or just have a plate at home waiting on loved ones to come in for the holidays. 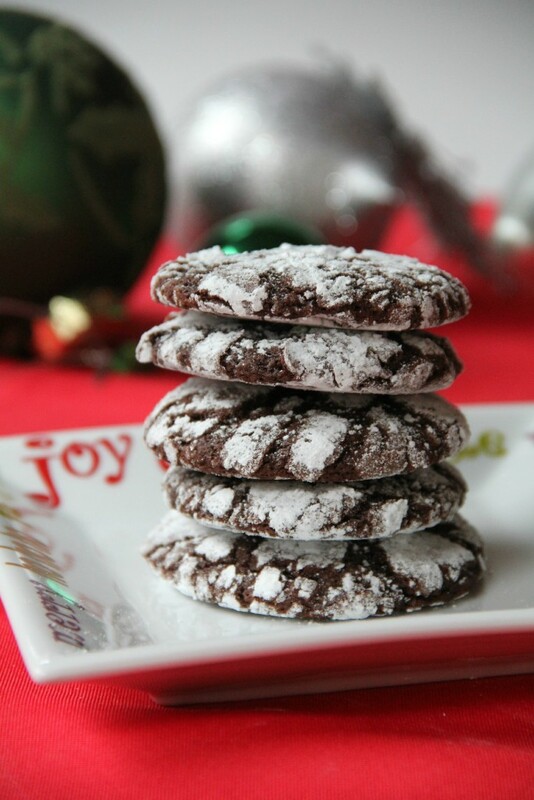 Enjoy your Chocolate Crinkles and Merry Christmas! 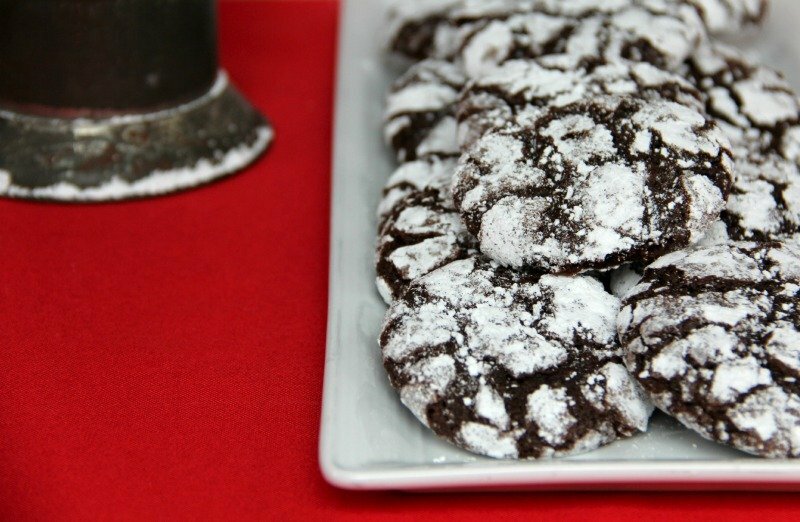 These chocolate crinkles have a deep chocolate flavor enhanced with dark brown sugar. They are chewy, chocolatey, and wonderful. Whisk together flour, cocoa, baking powder, soda, and salt. In another large bowl, whisk together brown sugar and eggs. Add vanilla to eggs. Combine chopped bittersweet chocolate in a microwave safe bowl with butter and microwave at 50% for about 2 minutes or until melted and combined. Stir to mix well. Whisk chocolate into egg mixture. Fold in flour. At this point your dough will look more like brownie batter. Place it in the refrigerator and chill for 2-3 hours or even overnight. When ready to bake, preheat oven to 325. Line cookie sheets with parchment paper. Place 1/2 cup granulated sugar in a shallow bowl and 1/2 cup powdered sugar in another shallow bowl. Scoop out a tablespoon of dough and roll into a ball. Gently roll ball in the granulated sugar to coat, then place it in the powdered sugar and gently roll to coat well. Place sugar-coated dough balls on cookie sheet, spacing about 2 inches apart. I usually get 11 cookies on a cookie sheet. Bake about 12 minutes. Cookies will flatten some and the crackles will be shiny and almost appear undercooked. Allow to cool in pan on a rack for 3 minutes then use spatula to remove cookies to a rack to cool completely.